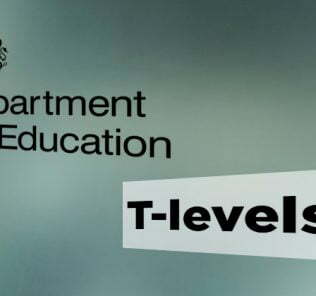 (3) A mix of written, paper and computer-based Cognitive Ability Tests (CATs) are used - children applying for Year 7 onwards take CATs which are computer based. (4) The assessment process takes 1 hour for Nursery and Reception applicants, 1.5 hours for children applying for entry into Years 1-2, and between 2 and 2.5 hours for children applying for entry into Years 3-6. (5) Sixth form entry to study for the International Diploma requires a minimum of six grade Bs at GCSE/IGCSE or equivalent. "All applicants will be interviewed and must demonstrate participation in wider school life." (6) Repton has established systems for identifying Special Educational Needs and Disabilities (SEND) as well as Gifted and Talented (G&T) children. Whilst academically selective, the school is fully inclusive and does not discriminate on grounds of SEND, EAL, gender or nationality. •	Arabic language attainment and provision weak, but this is true of all British schools. It is, however, improving - and their is investment being made in Arabic subjects. •	Repton bears the price of heavy scrutiny and expectation. •	At its price seen to need to outperform the competition in all areas of operation. •	Completely "unstuffy", hugely warm school rooted in value-add, commitment to the whole child and the "bigger picture." Repton School Dubai polarises views. This comes with the territory of being a stand-out, top tier school. 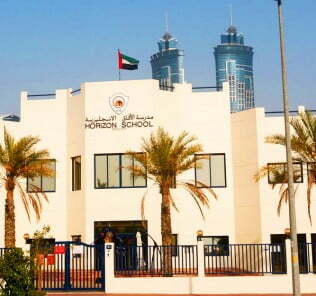 For many parents, with good reason, it is the best school in the UAE. Full stop. For others it is elitist. And there are any other numbers of reasons why other parents still, decide Repton is not for their children. Our view, up front, is that this is as close as it gets in the UAE to a school that sets its own standard. Visiting Repton is a magical experience that does not easily sit within KHDA metrics of evaluation for example. There is something very special about Repton Dubai that’s hard to put into words. However, we do think that it is important to root our view of Repton Dubai, notwithstanding its many not so easily defined and very special qualities, in the context of other schools and the core basic metrics of comparison and school achievement. Positively, for the fourth consecutive year (2018), Repton School Dubai has now, justifiably in our view, secured the KHDA’s highest award of Outstanding for a school operating “significantly beyond” what is expected of schools in the UAE. It should be remembered that what is expected is “good” schooling – and no less. The minimum standard is a high one and in its own right not easily achievable by schools. 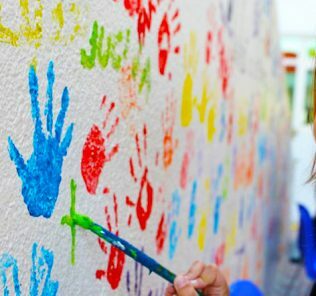 The KHDA’s basic legitimate expectation is that every child in Dubai has a good education with every opportunity to meet their potential and develop the skills and personal qualities needed for their lives ahead. This followed some 6 years of consistent and impressive improvement as a “Good” school. Outstanding and courageous school leadership with conviction, vocation, ambition, sensitivity, experience and care. As a school review, it would be hard to better this and certainly Repton School Dubai received one of the most positive reviews received by any school in their inspections this year (2018). However, there is a single weakness concerning the failure of the school to complete a promised Performing Arts Centre. British School Overseas. Inspection. Repton School Dubai. March 2015. Our view, is that it is quite extraordinary for Repton School Dubai not to have a Performing Arts Cenre competing with the best in Dubai. It is also quite out of character with the breadth and quality of the school’s provision in every other area of the curriculum. More importantly though, we have learned that parents are upset about this issue, feeling that they are not listened to and that promise have been unambiguously and directly broken. When we have a formal response from Repton School Dubai we shall of course publish it in full. In the meantime it is probably worth repeating a comment made to us from a parent. 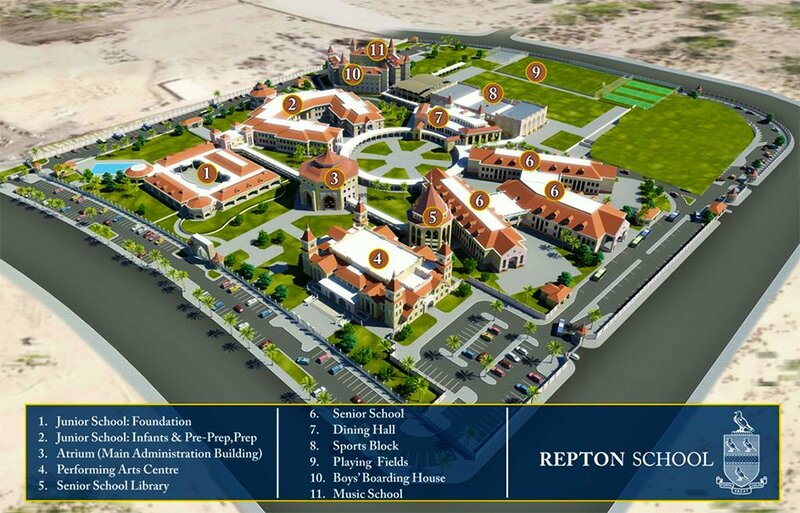 We understand that it has now become part of school life for the children to listen for sounds of potential construction works at the site marked for the completion of the Repton School Dubai Performing Arts Centre. If noises are heard the whole school, we understand, becomes animated with excitement, this only to be lost as it is realised that the noises, whatever they were, were related to something else entirely ……. Where once Repton School Dubai set itself apart for its eye watering fees, today there have been changes that see these fit bettter with other schools and parental expectations. Far from being within a whisker of the most expensive school in Dubai, today Repton School Dubai sits comfortably within the premium plus fees that define those schools pitching to offer the best education you can secure for children in the UAE. Perhaps its a signal that Repton School Dubai is more confident in what it can offer children than needing to set itself apart by the cost of entry. 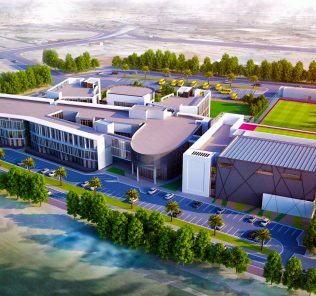 This said, with fees still running between AED 52,863 for Nursery (FS1) and AED 95,000 in Year 13, a Repton School Dubai education will not be affordable for the vast majority of parent who might otherwise see the school as the best option for their children. The way that historically Repton School Dubai put its head above the parapet with its fees, probably does account for some of the historic antagonism to the school. The pressure was on the school to provide an education beyond exceptional. This said, arguably for some parents its American curriculum counterpart, GEMS Dubai American Academy (DAA), has fees that run much lower between AED 22, 826 at Nursery/KG1 and AED 84,511 in Grade 12. DAA too reduced its fees when it merged with the then GEMS Nations Academy, the historical view of which can be found here. DAA, then GEMS Nations, was a school too that sought to re-define what a beyond outstanding education should like like – with the eye watering fees to match. Two of the Kings schools too, reviewed here and here have seen some moderation of fees. 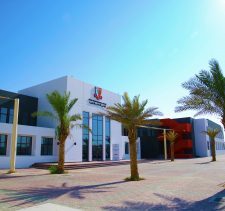 Kings’ Al Barsha’s fees at Sixth Form have been capped to the level of Year 11 for example – although they do now fall higher than equivalent day fees at Repton. Jumeirah English Speaking School (JESS Arabian Ranches), recipient of our Best School in the UAE Award in 2017-18, reviewed here, has lower fees of AED 39,030 to AED 91,950. A number of schools however are now demanding fees significantly beyond those of Repton School Dubai, Kings’, JESS and Dubai College – all schools that vie for the title of the UAE’s best schools. 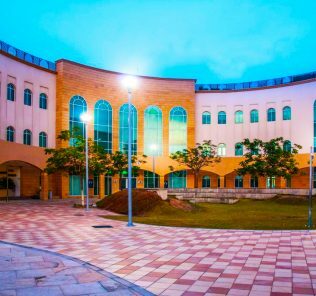 Swiss International Scientific School Dubai (SISD), reviewed here, charge fees around the AED 120,000 mark for Grade 11 day places. Whilst an International Baccalaureate School, it is comparative as the only other boarding option for parents. In comparison, purely on the basis of fees, Repton School Dubai would seem to offer, relatively, extraordinarily good value for its boarding provision too with significantly lower fees than its Swiss Scientific counterpart. 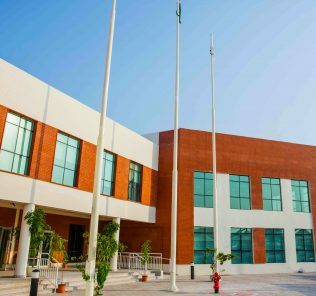 Swiss International Scientific School Dubai too rates currently as only offering a KHDA “Acceptable” level of education – a rating below the “Good” rating expected of all schools, although, to be fair, this is after its first inspection and at the equivalent point Repton was securing “”””only”””” a Good rating. The broad point is that there are schools with fees above Repton School Dubai: Brighton College, reviewed here, (AED 64,000 – AED 107,000); North London Collegiate School, reviewed here, (83,000 – AED 130,000); Dwight School Dubai, reviewed here, (AED 85,000 – AED 130,000). 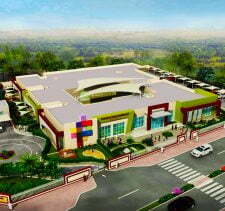 GEMS World Academy, reviewed here, (AED 64,414 – AED 111,813) are the obvious examples. For simplicity Repton’s day and boarding fees are listed below. Prospective parents should note that Repton School Dubai differentiates itself from its UK prestige namesake by offering the International Baccalaureate rather than GCE A’ Level. Whilst this sits well within the international context of Dubai schooling, our sister site, WhichSchoolAdvisor.com argues that a school of this calibre would be well placed to offer an option at 16 for either A Level or IB routes (in parallel streams), so enabling it to better meet the different needs of children at this age. It is telling that this has not been offered, although it is likely that the school would argue that the IB, when contextualised within an English National Curriculum education to 16, offers the best of both worlds. We tend to take the view that a parallel stream offers choice – and choice is the bedrock of being able to meet the needs of individual children. However, Repton has addressed this in a different, and, in our view, much better way. Rather than add an A Level option, Repton School Dubai now offers the outstanding International Baccalaureate Career-related Programme. First introduced by Repton School Dubai in September 2016 with a Business Studies foundation, the programme will be expanded in 2019-20 to offer an alternative Sport component. We understand that currently more than 20 students in each of Repton’s IB1 and IB2 years are now opting for the Career-related programme over the Diploma. Our view is that the International Baccalaureate Career-related Programme should ideally be offered as par for the course in all International Baccalaureate schools. For parents it is worth noting that the Career-related programme is widely celebrated by top tier UK universities as an entrance qualification – indeed a number of UK schools are choosing to only offer the Career-related Programme because of its perceived greater technical focus and better balance of language requirements, academic and technical subjects. Our review of, and Guide to, the International Baccalaureate Career-related programme can be found here. As a premier school, Repton School Dubai facilities match the best in Dubai. The school has extensive sports facilities, for example, with 3 Sports Halls and associated sports courts and equipment (including a small climbing wall.) A large Astroturf external sports area compliments these with 2 Rugby pitches and 3 courts for netball, tennis and a plethora of alternative games. There is an additional large Astroturf area for general sports and recreation as well as a striking 6-lane 25M pool with dive blocks. 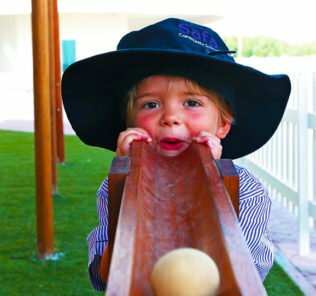 Functionally, Repton School Dubai divides up provision very successfully between the four phases of provision: early Years and Primary, Middle, Secondary and Sixth Form. As above, the elephant in the room has become the Repton School Dubai Performing Arts Centre – which despite existing in the school’s literature for a decade – has still not been built. “Repton School Dubai, rated by KHDA as outstanding since 2015, is an elite international school in the heart of Dubai. 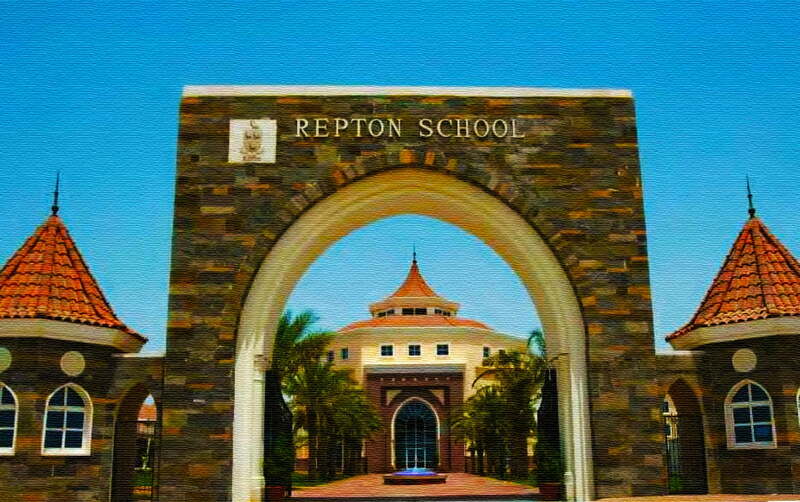 One of the few genuinely international schools in the Gulf Region, Repton School combines the reputation and academic rigour of the UK curriculum, from infants and junior school up to IGCSE level in Year 11, and then embraces the challenges and opportunities of the International Diploma or IB in the Sixth Form. 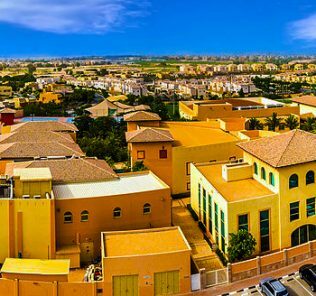 Set in a stunning campus in Nad Al Sheba, and almost uniquely in Dubai, also offering a dynamic boarding experience, Repton pupils from ages 3-18 benefit from facilities, resources and a classroom and sporting experience that is the envy of their peers. Alongside a relentless pursuit of academic excellence, enabling its students to thrive in the twenty-first century, Repton is proud of the pastoral care provided for all students and proud too of the traditions and core values that underpin all that goes on at the school. We are determined to provide the very best teaching and learning environment available, to enable our pupils to exceed their dreams and fulfill their true potential, academically, physically and socially. David Cook. Headmaster. Repton School Dubai. Repton School Dubai is the only school we have visited in the history of our inspections in which we were encouraged to independently speak with members of faculty without the presence of a Guide. That takes a lot of confidence. It is also one of few schools that effectively passed our security test to ensure the monitoring of visitors to schools we visit. 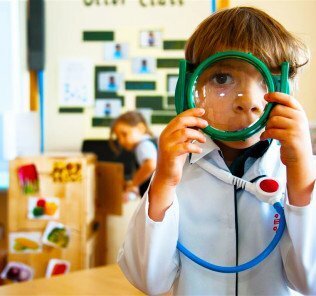 Early Years and children in Years 1 to 3 at repton School Dubai are educated on the ground floor with access and comprehensive use of the outside space allocated to each of the (bright and colourfully decorated) classrooms. Years 4 to 6 are on the first floor. Early Years divides teaching between 6 classes of 20 children, each with a Teacher, Teaching Assistant (often Mums) and Classroom Assistant. Children have access to a pool, splash pool the broader sports facilities and a large Clinic with resident Doctor who works across the whole school. The Library is split by age, with a spiral staircase to the upper level for Years 3 to 6. We really liked the addition of ‘Prop Bags’ for the younger ones – a large draw string canvas bag with not only the book, but a range of props (for example, including puppets) to extend and bring to life the subject matter of the book through other materials. The children can book these out and take them home. Years 5 and 6 have their lessons in the same format as the Secondary with movement to specialist teachers in dedicated subject classrooms. At Secondary phase, the proportions are good – with real attention to detail in the layout. Corridor spaces are wide, open and light. Humanities take up one corridor, Sciences another, MFL another – there is a clear sense of separation between each specialism. The Art facilities at Repton School Dubai are extensive and include 3 kilns, a photography area, dedicated Ceramics Studio and countless opportunities for glass slumping and gel flex modelling. There is an iMac Lab with apple products. Special Educational Needs facilities are managed by 3 staff and the school has invested in an Educational Psychologist. English classes are deliberately designed with small groups of students. Drama rooms are on two levels and during our visit (February 2017) a production of ‘Annie’ was being arranged. The rooms are well equipped with lighting rigs and are clearly lived-in and loved. Some might say that might say that the first ten years of the school have taken their toll – but we liked the character. It is worth noting that phones are not permitted in classrooms, and can only be used with permission. IGCSE classes are typically around 20 students. Repton School Dubai Sixth Form uses 3 levels of the Library area and has access to its own gym, common room space and specialist resources (including a Careers Advice facility and dedicated Pastoral Care.) Students can bring their own laptops at 16+ but spares can be booked out of the school if required. Both work and relaxed spaces are well proportioned. IB students set up their own committees and typical class size does not exceed 10 students. Repton’s status as a well-established boarding school from Year 6 places it at the top of the list for parents requiring a Dubai-based, British orientated boarding school education for their child(ren) – if only because there is still very little choice. The school is currently the only British boarding option within Dubai. Alternatives lie in Cranleigh which came on stream in Abu Dhabi in 2017-18 and Swiss Scientific International School Dubai which offers boarding within the context of very distinctly Swiss International Baccalaureate all-through schooling). The boarding school foundation of Repton School Dubai, we feel, has wide ranging impacts on the whole school giving Repton a very distinct and special offering for its day school (and weekly boarding) counterparts that cannot be matched by its competitors also operating within the “premium plus” sector of education within the emirate. Boarding probably is the key driver in creating the magical family atmospehere that is impossible to miss on any visit to Repton School Dubai. It is worth noting that during the most recent SchoolsCompared.com visit to Repton School Dubai we spent half an hour alone with Boarding faculty talking at length about the care showered on children with the Boarding Houses. It was actually very difficult not to be moved by the personal wishes of the staff to invest even more in children and see the animated way they discussed their care for children and their wishes to do ever more to make their home at Repton School Dubai more perfect. It’s fair to say that then Repton has pioneered boarding in the Emirates. It certainly infuses every part of the school – one of the great positives of a boarding school is the sense of family and home it brings – certainly to British schools. Day students and weekly boarders add their own twist and contribute to this overall sense of a shared school that has a life beyond the traditional end of school day. Boarding fees at Repton are calculated very transparently, essentially weekly or full boarding fees are added to the standard day fees. Other options, for example enhanced EAL, visas, private medical insurance, school transfers and so on are additional and charged for as required. The approach is very different to Swiss Scientific which charges a fixed standard rate to all boarders whether or not, for example, they require specialist extra EAL, or UAE visas or medical insurance (which most children do not). Clearly the benefits of this approach at Repton School Dubai are that parents will only ever have to cover costs necessarily required by their child(ren), but they will, conversely, need to be aware that the advertised boarding costs are not necessarily fully inclusive for all children. In terms of boarding facilities “on the ground” parents should not expect the advertised bells and whistles of a four star hotel (Swiss Scientific’s ambition) – instead we found something much more aligned with a lived-in, very loved home. During our visit we learned that the Boarding girls had taken the initiative to prepare a meal for themselves at least once a week – a nice social event. One future we really like is the move to dormitories rather than twin rooms. There is a real conviction here, based on experience, that younger boarders in particularly benefit from the sense of community that comes from dorms rather than the isolating impacts of shared rooms. Again, this is a major difference in approach to Swiss Scientific which argues that children need their own space. It is also worth noting some further features that we think are important. First, Repton’s stand-out transparency and communication for parents. It is extraordinary that a number of schools, including Tier 1s, continue to be hesitant, for example, in publishing examination results. Whilst these should absolutely not, we believe, be the sole focus for parents in considering a school, they are part of the picture – and an important one. Repton publishes its IB results in full, and for the last five years. This is creditable. Repton’s students score well, and in some cases outstandingly. The school is also improving year-on-year as the Diploma beds-in and expertise grows. Second, we think a school often reveals its character very indirectly. A good example is subject choice. 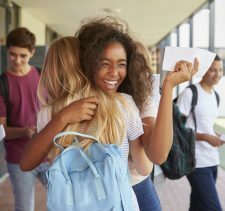 Schools focused entirely on results and league tables often restrict subject choice – and the first options to disappear (or even to have been offered in the first place), are those like Drama. Repton School Dubai is quite opposite. Drama, for example, is central to the curriculum at all phases – with both Cambridge IGCSE and IB Theatre given pride of place and recognition. Drama is a very good example of a whole child subject; it is a link discipline that not only develops vital skills in self expression, confidence and relationship building – but also cross curricular skills in approaching subjects from different angles. It is a subject also valued by universities. Subject choice provides prospective parents, we believe, a necessary balance to just looking at examination performance. 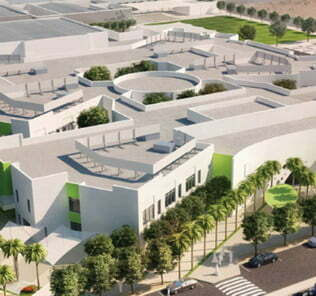 Third, whilst Repton School Dubai is academically selective, this is a school that looks for potential. Repton does carry out rigorous assessments – but parents should not be dissuaded from applying if their child(ren) are not this side of being a genius. 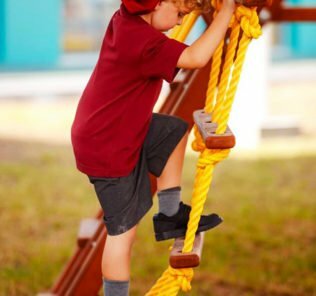 For Repton, it is much more about working out the fit of children to the school and whether it will be able to offer the education and environment that they will need to thrive. This is not, resolutely not, a hot house school. 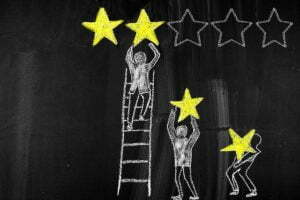 As above, nor is it hung up on examination results – the whole child is the core focus of which academic results are very much part of the bigger picture. Our advice is that if you do apply to Repton School Dubai, one thing the school will be looking look for is a passion in each child to be engaged with the school – and to contribute. Do not be fearful of the assessments – rather see them as a way of you and your child(ren) too seeing if the school will fit. 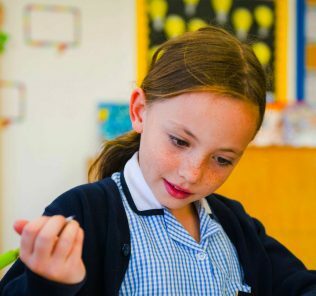 It is also worth noting that the school offers excellent provision for Special Educational Needs (SEN), English as an Additional Language (EAL) – and works to nurture those children that are particularly gifted, whether academically, or in other areas including sports and the performing arts. Fourth, do not expect a school that is “stuffy”! Repton School Dubai, partly because of its fees, and probably in no small part because of its cache, we know does cause some worry amongst parents that the experience for children will be somehow “austere.” On our independent visits to the school, and those of our sister site’s team on whichschooladvisor.com, we found a school very different to this. Our view is that it would be better to describe Repton School Dubai as dynamic and energetic. 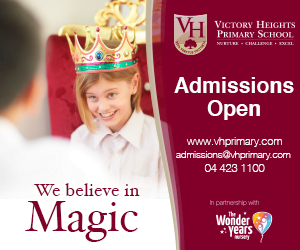 There is a real buzz about the school – children are engaged and inspired – and this really does come across. This is a warm school – and our feedback from parents, teachers and students reflect this. we particularly like the comment from one parent that spoke with us who said: “My children learn at Repton because they are happy. 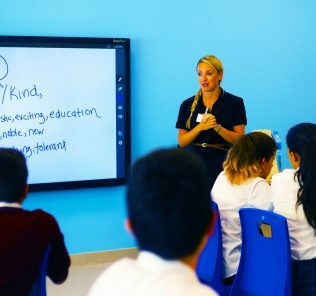 It makes all the difference.” It is also telling that a significant number of teachers and school leaders choose to educate their own children at Repton School Dubai. Fifth, we actually really like the choice of “uniform” in the Sixth Form. Young men and women wear smart suits – and it’s something that simply works. There is a real sense of purpose that comes from this, a quiet confidence and recognition of a bigger world to come. There is also a sense of aspiration that cascades down to the younger children that the school is ultimately there for them as they grow into young adults and that their hard work and investment will be rewarded as they grow with the school. Finally, parents will find that tours at Repton School Dubai are managed by IB students. We like this – you really do get a genuine sense of the school from the children who have traveled its journey. We found too that it was much easier and more comfortable for many parents to ask questions and get a real sense of the school beyond the prospectus or the inherent limitations of what, sometimes, teachers and leaders can say transparently. In 18, Repton IBDP students again achieved an average of 34 points, with 40 students sitting the full IBDP and a further 7 students taking the IB Career-related programme (IBCP) with a BTEC qualification in Business Studies. 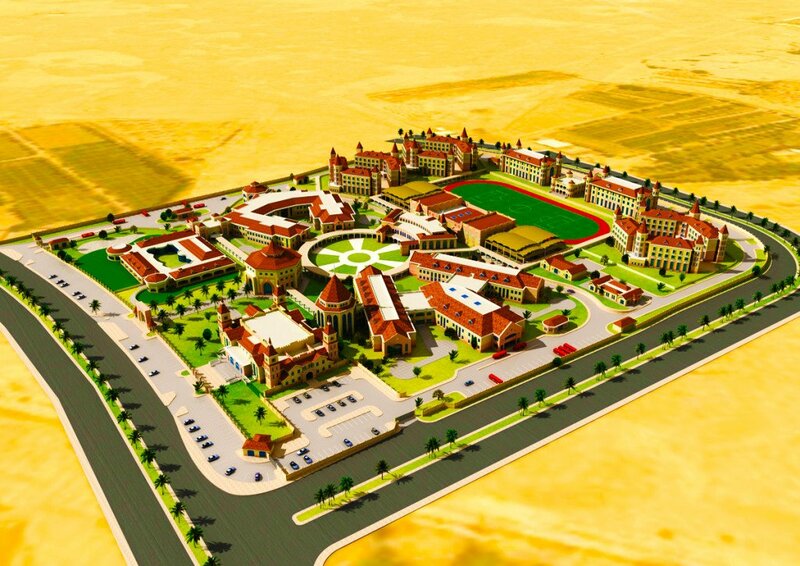 The unique atmosphere of Repton School Dubai, genuinely unmatched elsewhere in the sector, creates a very special school with a draw that, for parents able to afford the fees, may be irresistible. In its combination of a British Boarding school style experience, and the flair and ‘feel’ that comes from its Arabic-infused location, strong academics, world-class facilities, architectural environment, care for children, inclusive ethics and mixed cultural student intake, Repton genuinely does fire the imagination and inspire. 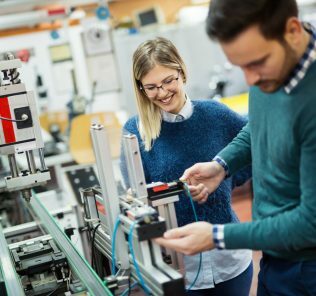 The post-16 options for students to choose between both outstanding International Baccalaureate options, the Diploma (IB DP) or Career-related programme, is telling of a school that recognise the needs of the whole spectrum of students. Newly reduced fees too give Repton a competitive advantage in terms of ROI for families. Unsurprisingly the school deservedly secured elite whichschooladvisor good school status in 2013-14, 2015-16, 2016-17 and 2017-18 and achieved a top-10 placing for the SchoolCompared.com Best Schools in the UAE 2017-18. Since our last review, Repton School Dubai has creditably introduced a structural scholarship programme that can be applied for by pupils between Year 5 and Year 8. These are available to both to Internal and external candidates and endure for the duration of the time a child is at the school “subject to high standards of behavior, performance and engagement in academic, musical and sporting activities.”Their value is not fixed, but provide an average 10% reduction in fees. We would recommend that families with gifted children academically, or in Music or Sport do apply, if the afford ability of fees is the key obstruction to applying to Repton School Dubai. Repton School Dubai will make a decision in the round and, because it is deeply committed to inclusion, will look at all cases on their own merits fairly. We would like to see all schools building up capital sums ring-fenced to finance both enduring bursary and scholarship funds in the long term. Many alumni of schools in Dubai would be only too willing to give back in this way. 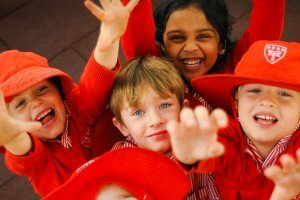 Ultimately this should, we believe, see schools welcome the broadest spectrum of children to schools, given the benefits to all children within schools of a role reflective of society as a whole and the global economy.